Got woken up today by some loud trucks pulling up outside; turns out it was our concreting contractor appearing unexpectedly - I guess 8 weeks delay isn't too bad. 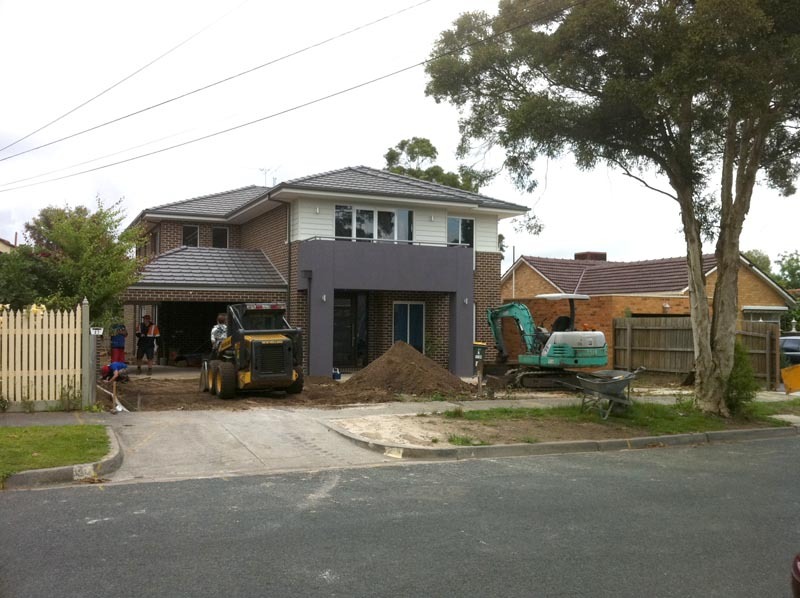 Anyway, we're in the process of getting a double sized crossover, double sized aggregate driveway, and concreting behind the garage to the rear of the house. Not sure when it'll be all finished, but at least it's starting! Also had the real estate agents (who sold us the old house) turn up to give a valuation on the property. One day (if we ever have a positive account in our bank balance again), we wouldn't mind redeveloping another plot of land; the only problem is local prices have gone totally wild and finding a well-priced plot to redevelop is getting very difficult - what interest rate rise?? Did Metricon damage any of the crossover? If they did were you reimbursed? B&T: Yep, one footpath bay was cracked by some trades driving over it - and it was a bay on the opposite side to the crossover! anyway I had the council guy come and inspect it while the construction manager was there, and he pointed out to the CM that it was additional damage from the build. The CM said to send in an invoice after I had it replaced and they'll reimburse me. Just got the bill this week, so I'll send it in when we do our 3 month inspection report.